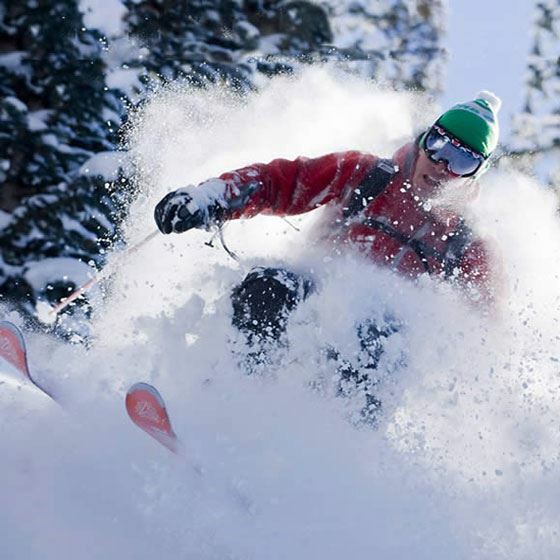 Eldora Mountain Resort is open with GREAT "Colorado Champagne Powder" skiing! 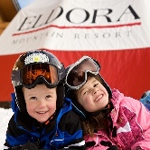 Combine a day on the slopes at Eldora Ski Resort with a luxurious stay at the Alps Boulder Canyon Inn. Our inn offers the warm, inviting atmosphere of a fine mountain lodge with excellent service, quality, and just the right amount of pampering to be the fitting resting place after an exhilarating day skiing. Nestled in Boulder Canyon, The Alps Boulder Canyon Inn has great mountain views and is only minutes from Eldora Mountain Resort. Want great restaurants, clubs and night life the Alps is only five minutes from downtown Boulder. Start your day in front of one of our large stone fireplaces eating a hot, gourmet breakfast made just for you. Grab some homemade cookies for the road, and you’re set to hit the slopes! When you get back, our staff will have a fire crackling and complimentary homemade desserts with hot chocolate, hot spiced apple cider, coffee, or tea ready. Want to relax, each guest room has its own fireplace, many have double Jacuzzi spas as well.